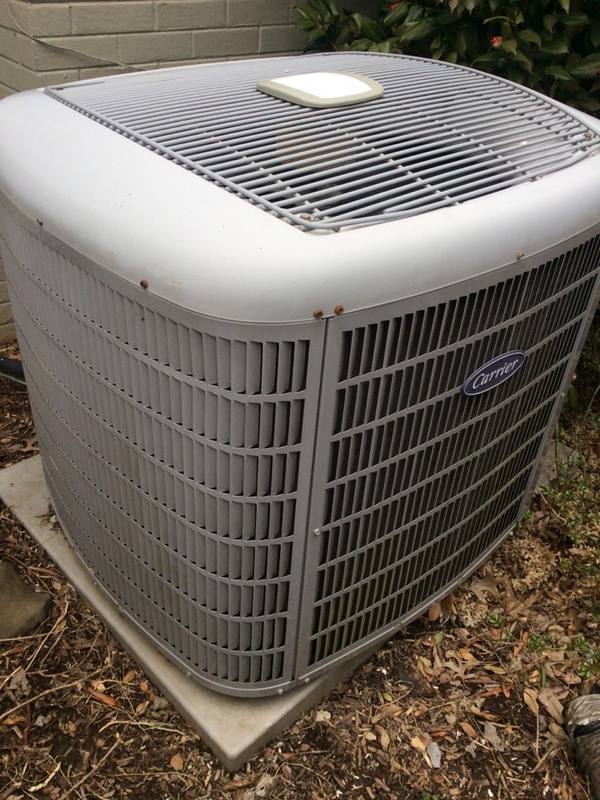 Supreme Air provides Air Conditioning, Heating and Plumbing Services, Repair, Installation, Maintenance, and Tune Up in Bethesda, MD and surrounding areas. I really appreciated the personal response over the weekend and scheduling an early visit and a call when on his way. Great customer service. Really pleased. They showed up on time and did a very nice job! Michael thank you very much for the great review! We are thrilled to hear you had such a positive experience with Supreme Air. We look forward to assisting you in the future! Have a Supreme day! I cleaned the condensate pan and drain lines and ran hot water to flush the debris and to make sure it drained properly and that the condensate pump was ejecting the water. I checked the electrical wiring and electrical systems, all are within specification. I operated the unit on second stage cooling mode and recorded 20+ degree delta temperatures across the evaporator coil. Installed Aprilaire Upgrade Kit with Filter #413. Unit operating normal. Upon arrival I went to system and found loop pressure reading 2psi static. Shut off units and installed Automatic Water Valve. Installed water valve between buffer tank and loop, connecting hose to exiting side of flow center. Routed hoses behind water pipes so it isnâ€™t obstructing anything. Made sure to flush out any sediment at the bottom of tank before hooking up water hose. Meter at 296.155 before pressurizing. Opened up water valves and ran flow center pumps to circulate all water, then burped pumps to get rid of any air. After pressurizing, Meter reading 297.160, static loop pressure at 58psi. 1 gallon was added during setup. Spring pm on 03/25/19 On arrival set unit to call for cooling measured supply and return air temp measured voltage and amps inspected electrical connections checked drain and cleaned checked filter checked condenser unit checked electrical connections checked voltage and amps checked coil recommended duct needs to be cleaned unit tested unit operating normal at this time. Also customer she needs a quote to move the heater from the walls and puch it. Upon arrival installed new ga19.also installed black pipes . On arrival found floor dry, custOmer explained to me what happened.found humidifier water panel clogged up ,water panel need replacement .also installed wet switch .also noticed black pipe not insulated .need to ordered humidifier panel and insulation for geo pipes .unit operating normal at this time . On arrival found system was locked on wet switch safety .customer informed me that yonas had asked him for a map cause he spilled water in the mechanical room.i then reset the switch .units are operating normal. Spring pm on 03/14/19 On arrival set units to call for cooling measured supply and return air temp measured voltage and amps inspected electrical connections checked drain and cleaned checked filters and replaced checked EWP and LWP unit tested units operating normal at this time. Upon arrival I was told that FP1 Sensor was bad and needed to be replaced. Found 34 FP1 faults on aid tool. Also found that sensor is reading correct temp and isnâ€™t fluctuating. Replaced sensor anyway and then ran system and checked parameters. Found system was moving too much water and air. Calibrated system to factory specs and called tech support to verify unit operation on all speeds. Variable speed pump was lowered from 50-100% to 5-65%. Fan speeds were lowered to factory spec 2 3 10 11. Pressurized Loop up to 40psi. Ran pumps only to stabilize water pressure at 35psi. Took water sample so we can check antifreeze levels, per water furnace. Unit operating normal at this time but informed customer we will get back to her on status of antifreeze levels. Upon arrival customer informed me he would like tune up. Also mentioned that aux heat wasnâ€™t working properly on Geo. During maintenance I found first floor thermostat not working. Non communicating thermostat wired to communicating board, will not function. Quoted customer to replace and he had WiFi 6000 on site. Customer approved quote so I replaced first floor thermostat and removed daughter board. Wired in thermostat to zone panel and checked operation. During test I found damper is not functioning. Zone panel feeding it voltage but damper reopens and flashes fault on Zone Panel. Quoting customer to replace damper actuator. Other than that unit is operating normal at this time. Customer signed up for Maintenece contract. The humidifier was wired to always have 24 volts even if the unit was not operating at all. The reason it was not noticed earlier is because the humidifier cover was put on incorrectly. It is a 700 powered humidifier so the cover has to be closed to allow the wire harnesses to make contact. I wired it correctly and tested the operation in front of the customer. I asked if there were any other issues or concerns and customer sid no other issues. I spoke with customer about a maintenance membership and left a copy of the membership benefits with them. I called Alex to let him know that this was warranty work. I operated the unit in high fire heat mode. I calculated airflow to be 1,800 cfm. The temperature rise is within comfort range and matches printed data. Gas pressure to the burners was increased from 3.0 to 3.5iwc. I checked the igniter and flame sensor. I checked the electrical wiring and electrical systems, all are within specification. The unit operates normal in heating mode. Customer signed up for a service membership today. The amount the customer paid on the invoice is for the duct cleaning and dryer vent cleaning. I called Donna and she will call the customer to schedule. Completed boiler maintenance. All wired connections are tight , No leaks in piping , no blockages in flu venting , bled all the radiators, circulator is pulling inline with amps and operating. 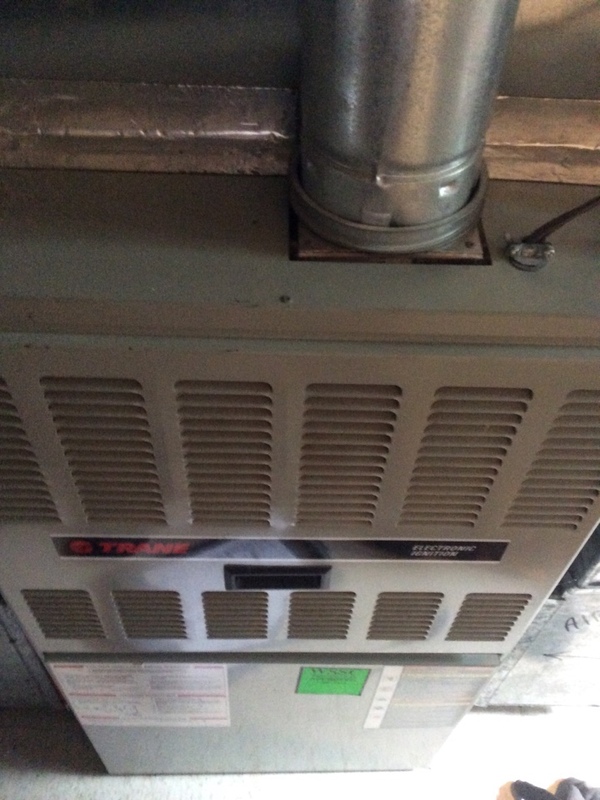 Costumer has heat pump but it is not on the service contract . I informed him and let him know it would be an additional fee and he said do not worry about it . I recovered the charge. Removed the compressor and filter drier. Replaced both and used dry nitrogen to pressurize the system to check for leaks. It held 250psi. I then flushed the line set with nitrogen. I also put acid away in the new compressor. I pulled into a deep vacuum and charged with 7lbs 10oz of r410a refrigerant. I checked temperature rise and the unit is operating normal. Upon arrival I was told that heat wasnâ€™t working on main floor. Went to package unit and found no LEDs on display. Also found top floor system had faulted on water flow because systems use the same flow center. Checked voltage and found no low volts. Removed fused disconnect to find 60amp fuse had blown. Replaced with new and tested systems. No additional problems found and units operating normal.